Its been almost a whole year since I’ve submitted any new posts, I do have a personal goal of reviewing at least a small amount of book that I have sitting on my shelf. I am known to some of my friends as a Palladium Fan-boy so this review may seem someone biased but I will try to remain objective. 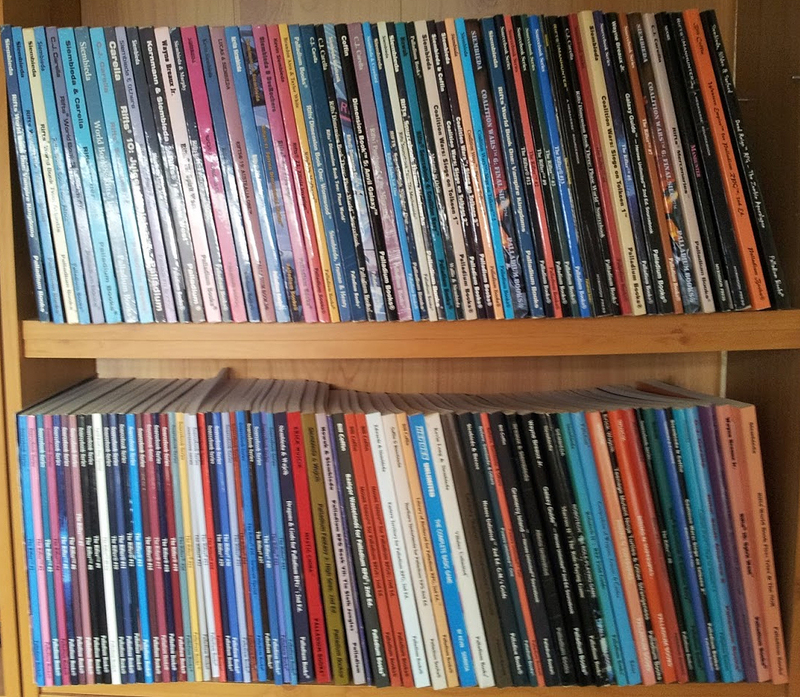 I fist started playing rifts as one of my first RPGS when I was around 14 years old, having previously learnt about role playing from the Palladium Fantasy game and have since collect a large collection of its various expansions and spin off books some of which can be seen in the above photo. Some of the following information has been taken from many online resources including Wikipedia and Palladium books own information. Rifts is a multiple genre role playing game created by Kevin Simbieda in August 1990 and published continuously by Palladium Books since then. 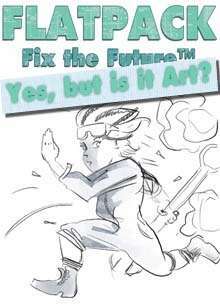 Rifts takes place in a post-apocalyptic future, deriving elements from cyberpunk, Sci Fi, fantasy and many other genres. It is often referred to the kitchen sink of genres. The Rifts world is Earth, but hundreds of years into the future. Magic energy exists, and is called potential psychic energy (PPE). PPE can be found in certain places, objects, and animals, but one of its greatest sources is human beings. While this has a variety of applications, upon a human’s death, the energy is doubled, and then released into the surrounding environment. Ley Lines, lines of magic energy, intersect the earth forming supernatural areas such as the Bermuda Triangle. In Rifts, points where ley lines intersect, called a nexus, are places of powerful magic, such as the Pyramids of Giza and Stonehenge. If a ley line nexus grows very strong, the very fabric of space and time can be torn thus creating a rift, a hole in space-time leading to another place, time or a new or parallel dimension. Ley Lines are normally invisible, but in the magic-saturated world of Rifts Earth, they become visible at night as massive bands of blue-white energy half a mile wide, and stretching for many miles. If the PPE nearby is extremely strong the Ley Lines could be seen during the day too. Rifts history first begins with, that there will be a golden age of humanity with tremendous advances in science, technology, military, and society. Humanity as a whole will get along as a majority of Earth’s nations decide to stop a world war and begin to share ideas and technology freely. Much of the solar system will be conquered, humanity’s wars will end, and harmony will reign. Second, this golden age will be followed by an apocalyptic nuclear war that starts with a border incursion by NEMA (North American Economic Military Alliance, comprising Canada, The U.S., and Mexico) forces in South America during the year 2098. The special circumstances of Earth’s mystic position in the Universe at that changes what would “normally” be the deaths of a few million living beings into a psychic energy flood that triggers the eruption of ley lines and triggering natural disasters across the world and also causes the return of Atlantis which raised the water levels causing even more death. The additional deaths in turn releases even more mystic energy in a vicious cycle. Ultimately, the psychic energy of billions of human beings dying nearly simultaneously, multiplied by the mystic alignments mentioned earlier, energized the ley line networks crisscrossing the globe and caused many rifts to open, both on Earth and throughout the Megaverse – while simultaneously ripping untold numbers of alien beings from their own homeworlds and alerting the Great Powers of the Megaverse of a new planet to conquer. Many creatures, both mythical beasts and alien beings, come through the Rifts – some of them now permanently opened – to wreak havoc. The old world is gone, a new dark age has dawned and humanity’s shrinking population is reduced, due to catastrophe and domestic failure, immeasurably. Rifts game play takes place roughly 300 years after this event, described as 103 P.A., or “Post-Apocalypse”, a calendar established at the formation of the Coalition States. This is equivalent to the year 2389, according to the New German Republic. Although different story lines may begin before or after, such as with the invasion of Chi-Town by the Federation of Magic (before) or as the Four Horsemen appear in Africa (after), most of the series “World Books” are described with a kind of snapshot of 103-109 P.A. In the latest World Books, the current date is around 110 P.A. (2396). By this time, most of the disasters have quieted down, though Earth is still bathed in the released PPE. The planet’s mystical energy has added untold numbers of alien beings from other dimensions, who continue to arrive through the Rifts both accidentally and deliberately. These creatures include humanoid Dimensional Beings (called D-Bees). 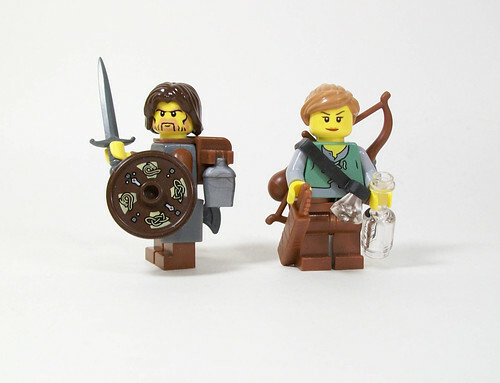 Some are familiar fantasy races, such as elves and dwarfs, others have never before been seen before. Also now sharing the planet are monstrous creatures and mystical demons with hides as strong as tank armor. The most powerful are the Alien Intelligence’s Lovecraftian, living mountains of flesh, lidless eyes and wriggling tentacles with great supernatural powers. In some rare cases, even the ancient gods of mythology have returned to reclaim their former lands. To cope with these natural, supernatural, and alien menaces, the human race has tried to change in a variety of ways, many of them borrowed from the technological developments of the lost Golden Age. Augmentation of the human body has become common with three basic categories: the “Juicers” do it chemically, the “Borgs” do it mechanically, and the “Crazies” make use of performance-enhancing brain implants. Another popular theme used by humans to combat the dangers of Rifts Earth are powered armor suits, and giant robot vehicles or Mechs. Some turn to other means to become “more” than human. Magic abounds on Rifts Earth, and many people turn to the magical arts. Others form pacts with alien intelligence’s or deities in exchange for great magical knowledge, almost always becoming pawns of the beings they dared turn to for power. Still others discover that they have great psionic potential, and dedicate their lives to discovering the abilities of their own minds. There are numerous editions; the one I currently looking at is, 256page , double column typical of Palladium Books, very well perfect bound that has taken years of abuse without pages falling out. It has a table of contents but no index. The black and white art is excellent and is often cited as the reason some people buy these books. There are also some full-color plates which have a couple of very nice examples by Kevin Parkinson. who also illustrated the famous cover. The organisation of the book and unfortunately a lot of other rifts books is haphazard and clunky organization; it starts off sensibly enough with character generation, but then moves into skills and combat before character classes. Psionic and magical abilities are described after setting information. Character gen is familiar to anyone who has played any other Palladium game. Roll 3d6 for 8 attributes; if you roll a 16, 17, or 18, roll another 1d6. This can lead to some very unbalanced parties, however this can lead to some interesting character concepts. In Rifts, most weapons do mega-damage, where 1 MDC is the equivalent of 100 SDC . In most games I have played it ie extremely rare to see an SDC based character using MDC armor and weapons is the only level that a character has any chance of staying alive. This is a class-based system, specifically “Racial Character Classes” and “Occupational Character Classes”, one per character. This includes a range of cyborgs, juicers, various magic-using professions, and perhaps the most iconic class the Glitter Boy. The classes range from Terminator style cyborgs to Ray Mears Wilderness survival guys . 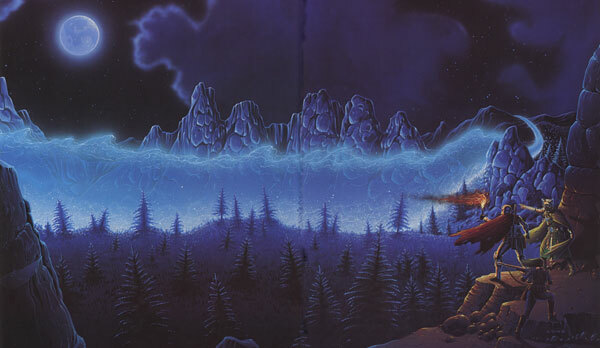 The skill choices available are suited to the setting however the skills themselves can sometimes seem to be placed in the wrong grouping which can lead to some searching back and forth through the book during character creation. The combat system in Rifts is based on rounds, with a d20 roll for initiative, and a to-hit roll versus the armor rating (AR) of the opponent, with a 1-4 representing a clean miss. The defender may respond with a parry, dodge, or entangle. If the defender fails the attacker rolls damage, with critical strikes (natural 20) doing double damage. There is a huge list psionic powers which cost ISP (Inner Strength Points) to activate. ISPs are recovered by sleep and meditation. In addition to psionics there are 150 spells, differentiated by class level (one to fifteen). Spells are powered by Potential Psychic Energy, which can be derived from ley lines, living creatures. Overall, there is much to like Rifts. The system is know as clunky at times and most game will involve some serious amount of house ruling. The setting is by far my favorite of all the games I own and can lead to some very interesting games. The system itself is compatible with what would probably amount to hundreds of book and is compatible with all the other Palladium line up which means you can Have your Glitter boy rubbing noses with a Teenage Mutant Ninja Turtle, or battling a Super Powered Villains from Heroes Unlimited. The list is truly endless. The writing in this book certainly shows a lot of passion from Kevin a style which is evident in all his books, however there are a multitude of typos and errata. This can lead to frustrating read, but in the end it will be well worth the work being able to play with this amazing setting and you will enjoy some truly unforgettable games. Firstly thank you for making a geek’s dream come true. I truly appreciate you taking the time to talk with us, especially with your busy schedule. Thanks for asking!Could you please tell us about yourself: age, hobbies outside gaming, so on?I’m 44. I live in Seattle. Besides gaming, I really enjoy writing fiction, reading, travel, music, and movies. I also am really into Legos! So, I’m a big geek. ranger named Thad the Brave.Do you get to play in a campaign, how often do you play? When you do, what system do you normally play?Until just a couple of weeks ago, I was in a play test for the new, upcoming edition of D&D. Before that, I was running a variation on 3rd edition with a lot of house rules (most of which appear in the books The Book of Experimental Might I and II) for a few years. What is your favorite character you have played, could you tell us something about them? That would probably be Malhavoc, a D&D wizard/cleric that I played long, long ago. He was an evil character that redeemed himself in the end. Mostly, though, I don’t play much. I run games instead. I’d say I’m the GM about 98% of the time when I play an rpg.Do you have any funny gaming moments? Sure. Thousands. I think everyone does. One time, a paladin vain about his appearance was on a quest to bring a villain named Helmut Itlestein to justice. He followed him into this otherworldly realm where an evil demigod lived. The demigod told the paladin that the man was dead. The paladin demanded proof to take back with him. So the demigod burned the words “Helmut Itlestein is dead” onto the paladin’s beautiful face. I can be a mean DM. Do you have any gaming superstitions? Not really. I’m not touchy or particular about dice or sheets or anything. Considering all of the items you’ve published throughout the years, what is the one thing you’re most proud of? That’s really hard. 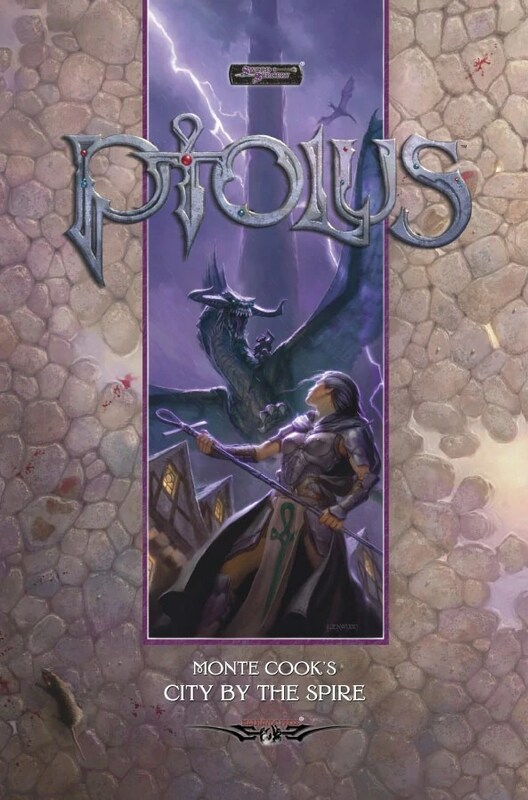 I suppose it might be the campaign setting, Ptolus, just because it came out so wonderfully. It’s beautiful, it’s a feat of game design and editing (it takes a lot of broad steps forward in how a product can be presented), and I’m still quite in love with the content. That said, D&D 3rd Edition made hundreds of thousands of people really happy for a lot of years, so I’m proud of that too. I usually make a lot of chicken scratch notes that would make sense to no one but me. For NPCs, I’ll often just prepare the most important stats, or just take something out of a published source and change what I need to (sometimes on the fly). Basically, I often prepare the big stuff, and sometimes the cool descriptions of things (I’m a very visual person), and then pull together the details on the fly. I try to make that kind of “on the fly” GMing as easy as possible, though, so I keep things like lists of cool names, books with cool art, and products with stat blocks, cool spells, monsters, and whatnot close at hand.What’s the secret to being a good GM outside of following the official materials? The number one key is making sure everyone’s having fun. Sounds oversimplified, but if you do that, you’ll run a good game. Fun trumps rules, story, and anything else. And remember, “everyone” includes you, too. What do you think of the changes the way the RPG industry is currently changing, and heading towards more digital products? I think we going to see interesting melding of tabletop and digital over the next few years. But tabletop will always have value for its social components. What’s next for you?I also am writing a lot of fiction. You’ll see some of my short fiction popping up in various places this year. Do you have any other parting words for all of the gamers out there? Worry less about what other people are doing in their games, and focus more on having fun in your own. Edition wars are so tired, and have done terrible damage to the game and the audience. If you love your Honda, but someone else drives a Ford, it doesn’t affect how you drive. It’s a game no one is going to win, no matter how pithy your criticism of someone else’s system might be. We’re all gamers, and we all love games. First off, let me thank you for taking the time to be interviewed for Fumbl. I truly appreciate you taking the time to talk with us, especially with your busy schedule. No problem at all. Without dialogue and contact to the outside world, game designers can turn into very grumpy cave dwellers very quickly. Could you please tell us about yourself: age, hobbies outside gaming, so on? Age? Ouch. Well, I’m just over 30. Steven King says you can’t accomplish anything serious as a writer before that, so I’ll take it as a good thing. My hobbies include chasing my two kids around, erm, between that and writing, I have no time for much of anything else. I like the occasional video games. Minecraft and the Sims. That sort of thing. Who have you worked for, what games have you worked on? So I worked on supplements for Vampire, Werewolf, Hunter and Mage for the New World of Darkness Line for White Wolf. I did a little bit of work on Blood in Feraldyn for Green Ronin. I worked on the High School Yearbook for Margret Weis’s Smallville, and a lot of small stuff here and there, plus the three games my company has put out in the last few years. How did you initially get into playing RPGs? What was the first gaming system you played in? Can you remember anything about your First Character? As a player, I started with AD&D. I played a pacifistic priestess of a fertility goddess. You can imagine, AD&D was not kind to the roleplaying leaning-type, but my group loved it, and we adapted things to fit that style quickly. It got very political and social very quickly. Do you get to play in a campaign, how often do you play? When you do, what system do you normally play? I haven’t played a real campaign since the Carter Administration. The closest I get are some longer running World of Darkness chat-style games. It’s a very strange animal and I don’t have much time for even that these days. There’s just too many games to try and too many games I want to make. I miss the five-year long games of my youth, but I know I couldn’t go back even if I wanted to. What is your favourite character you have played, could you tell us something about them? It would probably be easier for me to tell you which was my favorite child. When I first met my husband, I had a Requiem character. She was a horror writer, and didn’t have much patience for the sillier sort of vampire she met. It could get snarky, but ultimately, she ended her story heading off to seek vampire-nirvana. A lot of fun. Do you have any funny gaming moments? At least a year or two back, we played a semi regular Hunter game. My husband was running it, and all the players were ladies. We did a lot of clever things to handle monsters from a distance, none of us were front-line sort of killers. Ultimately, we decided that there was almost no monster that couldn’t be handled most easily than by hitting them with a truck. The mental hoops we jumped through to get all manner of evil monster into situations where we could hit them with a truck were hilarious. I highly recommend it to any monster-slayer out there. It’s my weapon of choice now. I don’t think so. I do pay attention to a sort of, mmm… Feng Shui at the gaming table. Sometimes if players are sitting in the wrong place, you know, it’s just not going to flow as well. But that might be practical too. Put the mousey, quieter players nearer to the GM, the loud attention cravers further. That sort of thing. How did you get started with Flatpack? Where did your inspiration come from? I wanted a game I’d feel happy about my daughters playing when they’re old enough. I also looked at the sorts of things I wanted to do in a game, and rather than wait for someone else to do it, I did it myself. Why should we play it? Does it bring anything new to our gaming? I wanted to focus on non-violent conflict resolution, community building, and borrow back aspects from video games I thought were cool. My character advancement system, for example, is drawn from video game Achievements. You do X, your character is now a little bit better at Y. People seem to be really digging that. Aww, that’s not fair. I really really enjoyed writing fiction for Amaranthine, our second game, but there’s something about doing all of the development and writing for Flatpack that’s very exciting. What’s a typical day in the life of Filamena in terms of preparing her own role playing campaign? Prepare? I’ve heard of it. I don’t know that I’ve ever actually done it. I’ll sometimes write down some clues or plot hooks and NPC notes on index cards, but by and large, I’m a by-the-seat-of-my-skirt sort. What’s the secret to being a good writer? Sit down and do it. You can always fix it later. Talking about the processes, reading about it, that’s all cool, but a lot of people let that get in the way. Theory is only good if you apply it to practice. I’d rather be polished through practice than study. JD Salinger types only confuse me. Yay! More games is better than fewer. More games that break the same molds over and over. That’s the way to go. What kind of new goodies are coming out from Machine Age Productions? Aside from the million books I’ll be doing for Flatpack to go along with the Kickstarter, (three, at this point) We’re doing series three of Guestbook pretty much as we speak. Next up, and hopefully for Gencon of this year, David’s designing what he calls a ‘progressive post-fantasy’ game. I’m not sure how he’s going to unpack that statement yet, but he came up with calling Flatpack an ‘Optimistic Apocalyptic’ game, so I’m ready for the fun. I believe the scientific method will be a big part of the system. Also, archeology. Really. It’s gonna be cool. Rumor has it I’ll be working on something that Margret Weis is rolling out now. (Its okay to be a little jealous.) I’m also likely going to be doing a game hack for Evil Hat’s Don’t Rest Your Head book of hacks. After that, it’ll be rushing to complete stuff for Gencon, and having a third kid in May. (Woo!) So basically, I have to type in my sleep to get it all done. But it’ll be worth it. Yeah. We can make gaming better, safer, and bigger with room for all sorts of games and players. We can be welcoming and increase our numbers and make sure the industry thrives. There’s room for everyone, if we just make room. So for the next dark whispers interview we have Wood Ingham, freelance writer for White Wolf. Adam: So to get started would you introduce yourself and give a little personal background? Wood: Right. British, married, two kids, 32 years old, resident in Wales. I’ve been a freelance writer for five years now, and I’ve had White Wolf as a client since early 2005. I gamed a lot as a teenager, but gave it up when I went to university, because of girls and stuff. You know. Anyway, about six years ago, a mate of mine pulled out a Call of Cthulhu set he had, and asked me to run it, and it snowballed from there. So I wrote some Cthulhu stuff, for The Black Seal, and Worlds of Cthulhu. Adam: So was that your introduction to the world of role-playing? Wood: Pretty much. I ended up buying back a lot of the stuff I gave away and sold, and ended up getting some more WW stuff – I’d been a fan of Vampire and Wraith in their very earliest iterations (I’d given my copies away back in 1994). 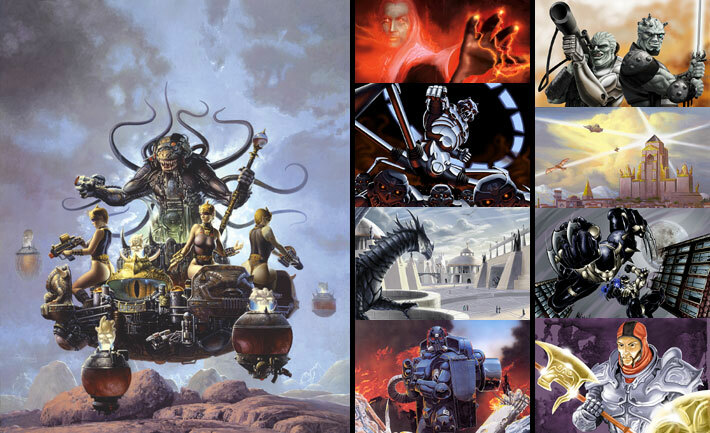 …but it was the work I did for Adam Crossingham that made me think I could write for RPGs. (The Cthulhu stuff I mentioned). Anyway, I’d said this before, but I picked up a WW book (won’t say which), and read it with older eyes, and thought, bloody hell, I could do better than that. Adam: We are lucky you did. Wood: Thank you. During a big drive for clients in January 2005, I wrote about five pages on a factory farm for vampires, and sent it to WW, and thought no more of it. Will Hindmarch e-mailed me within a fortnight of me having sent it, and that was it, really. Adam: And has that material been published? Wood: Yes – it’s in Shadows of the UK. Adam: Do you have any writing qualifications? Wood: Not in the sense of professional qualifications. I worked as a technical writer for computer software firm for a couple of years, and started out by sending columns for free to magazines and web magazines. I tended to go for stuff on news and religion, since that’s where I feel I’m best at this writing business. Adam: What are your biggest artistic influences and inspirations? I’m fond of 70s Marvel comics – Tomb of Dracula, Tales of the Zombie, Monster of Frankenstein, Son of Satan, Man-Thing, all of which I discovered relatively recently. Also, a lot of European stuff, particularly Bilal’s recent stuff. And 2000AD, of course! The really old Judge Dredd and Strontium Dog stories. It’s interesting, though – it didn’t make a lot of difference to a lot of people. Wood: Oh, it was awful, wasn’t it? Adam: I can remember trying to sneak into the movies to watch it, and was so disappointed. Wood: Dredd’s such a part of our culture – if you’re male and between about 30 and 40 now, you read 2000AD back in the day when it was good – that Stallone’s idea of him just wasn’t Dredd. Adam: What advise can you give to someone who is starting, or thinking of getting into the writing business? Wood: I think the important thing is that you’ve got to be aware that it’s not art. It’s a job, and you have to treat it as such. If you’re starting up, you should really refine your skills by writing stuff for people for free, because you’re only going to get paid if you’re really quite good, and for most people, being good needs a lot of practice. Oh, and take advice. If what you wrote is crap, and someone who knows what they’re talking about tells you that, accept it and go back to the drawing board. Speaking as a magazine editor (it’s one of my other clients) there’s few things more frustrating than a writer who won’t take honest advice on how to improve his work. Adam: What books have you worked on so far? For Vampire: Bloodlines: the Legendary, Damnation City, Requiem for Rome, Fall of the Camarilla, and one book currently in writing that I can’t talk about. For Promethean: All five of them. For the General World of Darkness: Asylum, Shadows of the Uk, Reliquary. For Changeling: the core book. And the core and three supplements for the game we can only call Number Six. Adam: There has been a roaring debate on the forum about that one, but it does seem very interesting? Wood: My lips are sealed. Adam: Could you at least confirm it has something to do with hunters? Wood: I love the speculation. Adam: Some of the new book you mention, could you tell us about those? Reliquary perhaps? 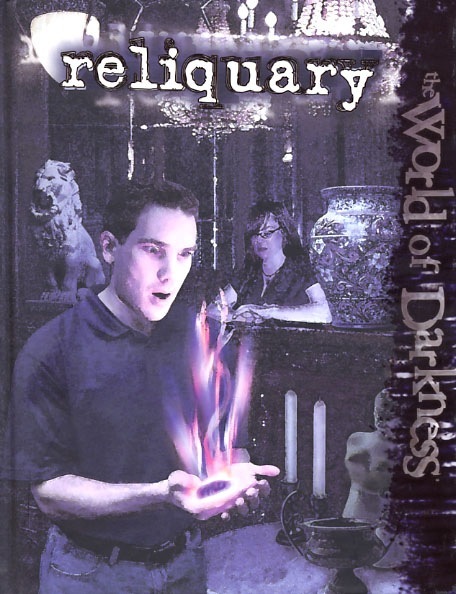 Wood: Reliquary is out there now, and it’s a book about how to storytell mystical artifacts – and also how to create them. You can create your own, place them, and tell stories about them. The book gives you concrete tools to do it, too. Justin Achilli, Matt McFarland and the others produced some fine work. Jess Hartley (interview coming soon), who developed it, is rightly proud of what she led. Adam: What can you tell us about Requiem for Rome? Wood: Well, in Requiem for Rome, you discover that some of things you thought about vampire history were completely wrong, and something’s are only slightly wrong. You meet familiar clans and bloodlines, and unfamiliar ones. The Camarilla has four wings, and each has its own advantages. And in the place of the Ventrue are the Gens Julii. …and in Fall of the Camarilla, you get a fully-realised chronicle taking you across the fourth century CE and its outcome. Want to drive in a midnight chariot race? Want to hold a banquet of the dead and leave to vomit the Vitae so you can feed some more? Oh – did I mention the social combat rules? Wood: Well, the Roman society of the dead revolves around discussion, around debate, and the stakes often get ridiculously high. You can lose all status, or even your (un)life if you lose a debate. The mechanics kind of reflect this. Ray Fawkes did a fine job of getting them together. David Chart had a hand, too. Adam: could these rules be used for modern day chronicles? Wood: Yes. I’ve play tested them with three groups now, and they’ve all loved them. Wood: Right. One more question. Adam: Is there anything that you can give us that is not already available on the forums? Wood: Hmmm. You get to meet the founders of not one but two bloodlines still active in the modern day. You’ll discover the nature of the Nemeses, the thing that vampires fear. Adam: Wow. I think you’ve given us plenty us to drool over. It has been much appreciated. Thank you. How to lift a rock in any system. Nook Harper on New blog!